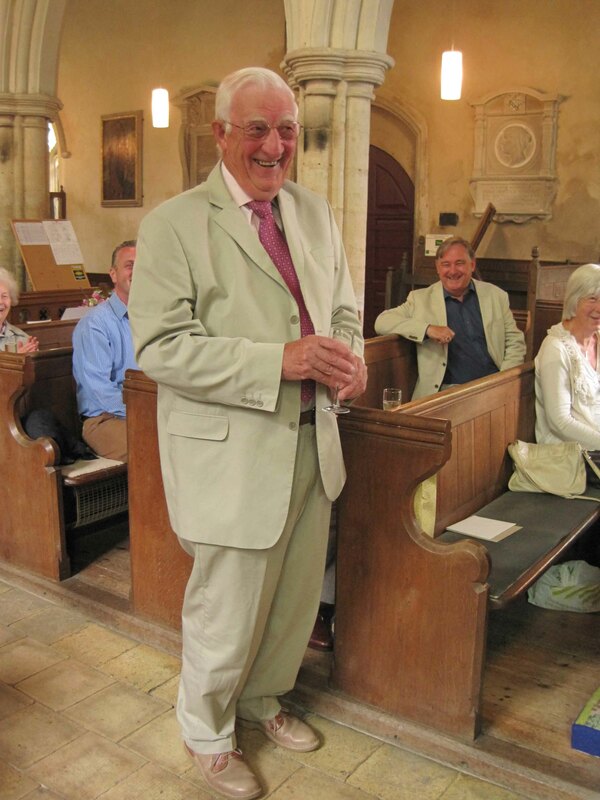 Our long-serving and much-admired churchwarden, Alan Clarke, celebrated his 80th birthday on the 5th July. The following day the Madingley Congregation took the opportunity to wish him many happy returns and also to thank him for his remarkable contribution to the life of the Parish Church. Alan was elected Vicar’s Church Warden in 1966, following on from the example of his Father before him. He continues in this post today – an extraordinary period of dedicated service. During his tenure there have been twelve serving vicars/ priests-in-charge with many periods of interregnum in between. Alan has provided a constant thread of dependability and stability. The congregation presented Alan with an engraved goblet and gardening vouchers. His wife Mary was presented with a bouquet of summer flowers in thanks for her own remarkable contribution to the life of the church.